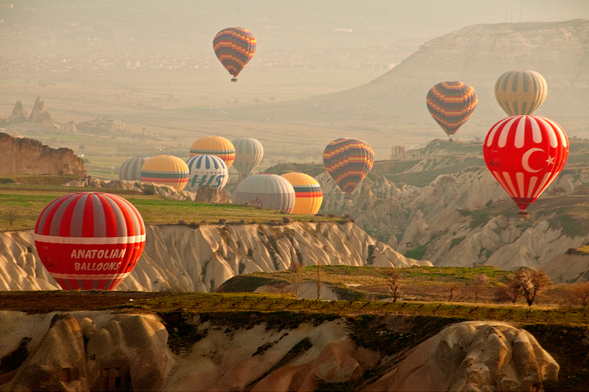 Cappadocia is the "Land of Beautiful Horses" to those who speak Persian. To the rest of us, it is the heart of ancient civilization. Its inhabitants ranged from Greeks to Turks to Byzantines to Armenians and each left their mark on the region. The most striking elements of Cappadocia are the rock formations and their endless functions. Some are lined with carvings and others were ancient dwelling places. Certain rock formations were used for defense. And one exists today as the Museum Hotel. 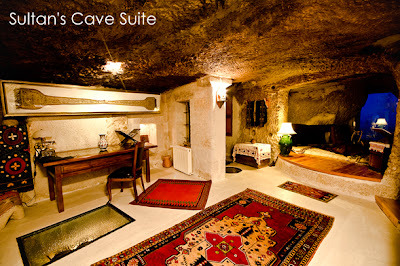 The Museum Hotel boasts views of all of Cappadocia from cave-like luxury suites. 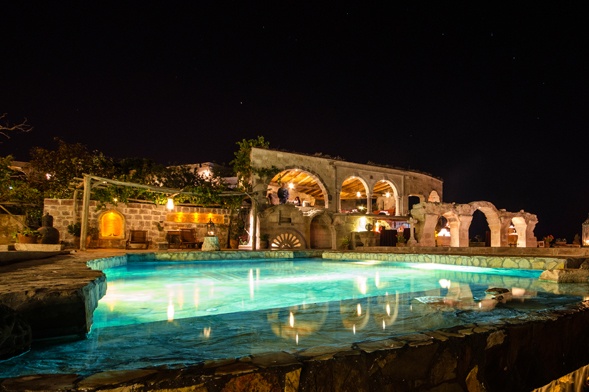 Part resort and part museum, this hotel furnishes your room with antiques from every era. But the most unique aspect of the Museum Hotel is its investment in responsible luxury. 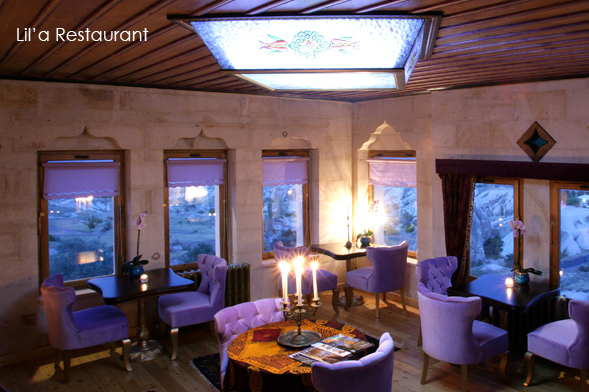 This includes using solar energy, protecting historical artifacts, maintaining the tradition and culture of Cappadocia in their food and decor, and achieving public projects to aide the less fortunate of their region. Unlike a few other museums that come to mind, you'll be unlikely to find a dull moment at the Museum Hotel. Perhaps you would like a cooking lesson from the head chef? Or a taste of the ecological garden? Or maybe you'd like to test your stroke at an environmentally-friendly driving range? 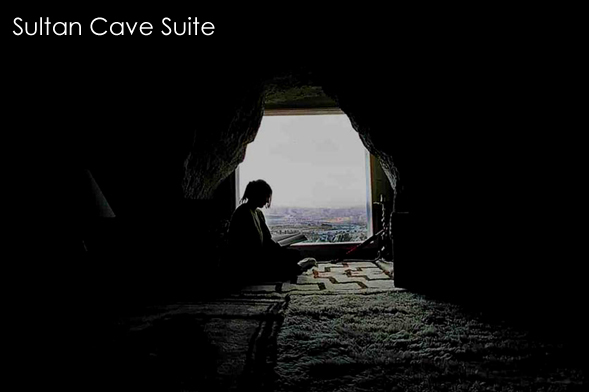 A wedding venue, a honeymoon destination or a spa getaway can be found within the luxurious caves of the Museum Hotel. Your trip to the Land of Beautiful Horses begins by contacting us.